It is the only thing that can capture the laughter, tears and joy of a very precious and unique moment in time. Never again will this day happen and for the wedding videographer it is a one shot opportunity to produce a record where moving image and sound can become something that will be the only lasting memory. "Filming in 4K Ultra HD starting at £150"
A fun filled photoshoot at Dingles Fairground Heritage Centre. 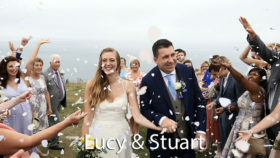 Lucy and Stuart’s wedding video at Carnmarth hotel in Newquay Cornwall. Video length 25 minutes. 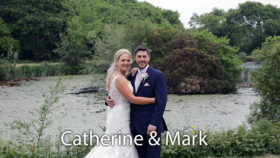 Quality wedding videos produced by multi camera filming, meticulous editing, colour correction and your choice of music along with natural sound captured by radio mics presented in custom designed and printed personal cases. 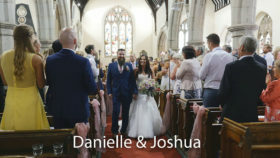 Visions UK is the longest established full time wedding video company in Cornwall and our knowledge learnt through recording hundreds of weddings of many different types of religious ceremonies in locations all over the UK allows us to offer you a level of expertise that only comes through experience. A fly on the wall unobtrusive approach learnt through years of experience. We work unobtrusively in the background capturing all those special moments and the details that you have put so much effort into, weaving the footage into a film that allows you to relive the whole of your very special day. 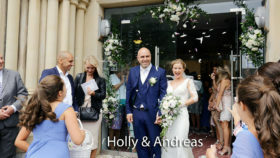 "The most important day of your life filmed to last a lifetime"
Visions UK is based in Cornwall and offers coverage predominantly within Cornwall and West Devon. 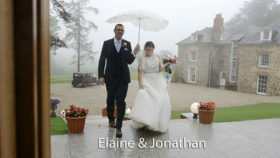 "A contemporary, cinematic,fun and creative wedding movie"
"Your fully bespoke service filming your day your way"
"Full HD multicamera wedding and event videography"
﻿ A lovely Cornish wedding with a marquee reception. A conventional church ceremony and Greek ceremony and some great Greek dancing! Catherine an Mark at Colan church. Just watched our wedding DVD and we just absolutely LOVE it !!!!! It’s just fantastic and truly captures the day perfectly. I felt like I hardly saw Mike on the day but he seemed to get everywhere and capture what we missed. Thank you so much Mike you did a fantastic job. If you are getting married you must get a DVD and we can’t recommend Mike enough!